Within just few years thesis theme framework has became very famous, probably for its power & flexibility, which allows developers to easily and quickly create wonderful websites. There are several reasons for that its search engine optimized, easy customization without coding, world-class usability, and real live people ready to help when you have questions. The very latest version of thesis theme allows developers to easily create cool custom skins. But you don’t have to be a developer to create custom skins by using thesis theme skin editor you can create your own desire skin. But it’s not that easy. In that case you have to use ready made skins. 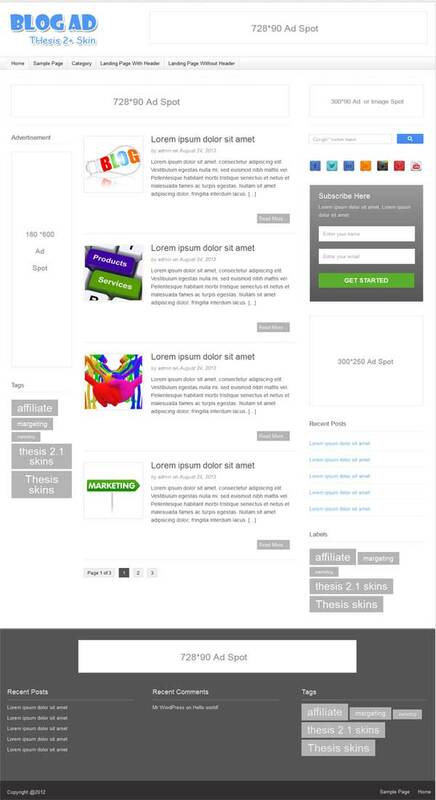 There are several ready made latest thesis 2.1 theme skins out there to rock your site! Simply choose one of them from following skins collection and use it in your site to take it to the next level. Here I’ve compiled only thesis skins which are compatible with thesis 2.1.4. All skins here are responsive you don’t have to worry about that. If you have any doubt about any particular skin, then you may check that particular skin by resizing your browser. 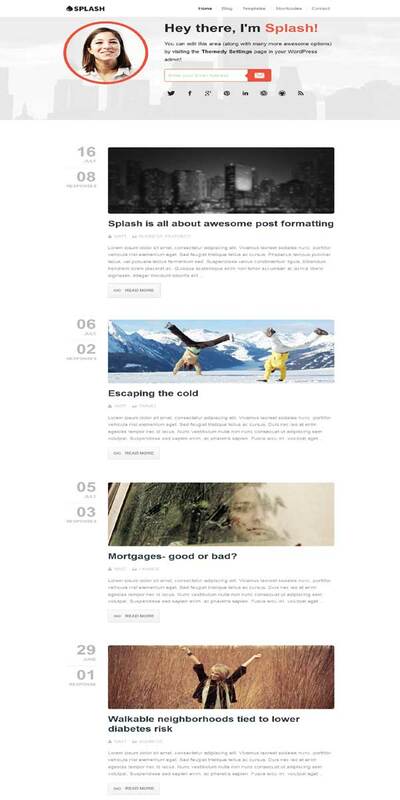 Blo-Car is a minimalis, simple and super clean blog skin for thesis them with focus on readability & very easy to setup. It has a clean design and it comes loaded with lots of features to help you take your website to the next level. 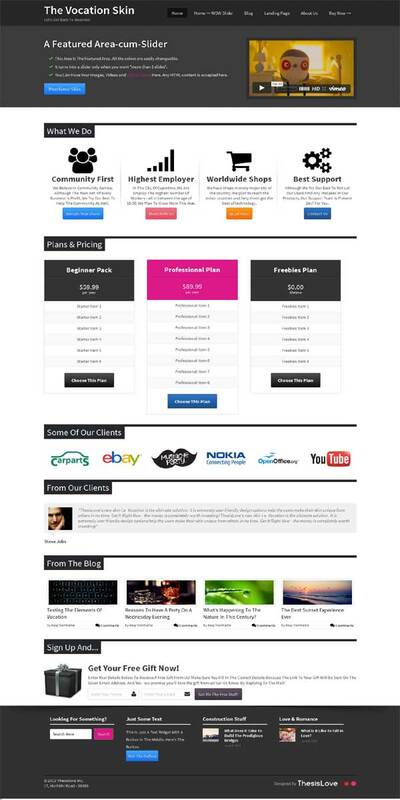 This theme is perfect choice for your personal blog, corporate blog, or creative blog and for internet marketers. 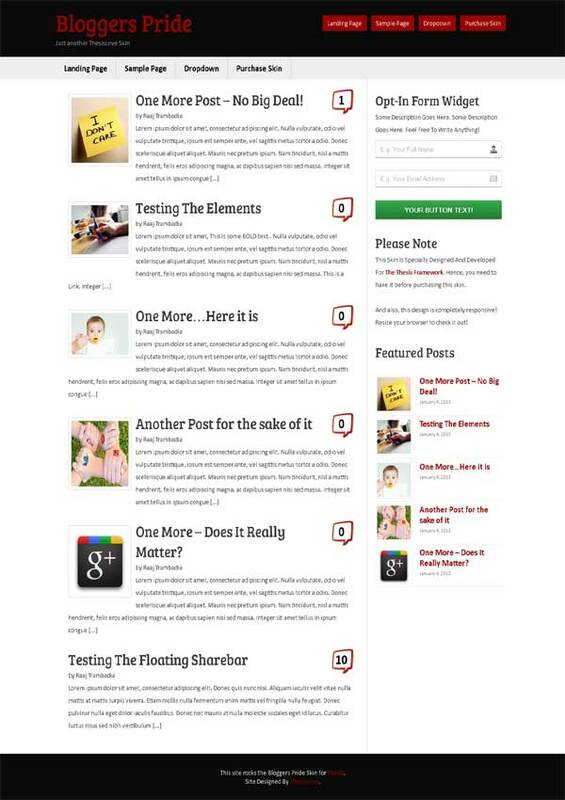 Blog Ad is an easy to use blog skin with flexible layout that looks great on any device big or small. Blog Ad skin is suitable for any kind of blog. This elegant skin is easy to use for very beginners, but also for advance users. Minimalist a very clean, minimal thesis theme skin with modern design. Whether you want to give your dusty old blog a new coat of paint or are drowning in a sea of posts and categories, Minimalist is here to your rescue. Simplify and present your content in a way that is accessible, logical and beautiful. 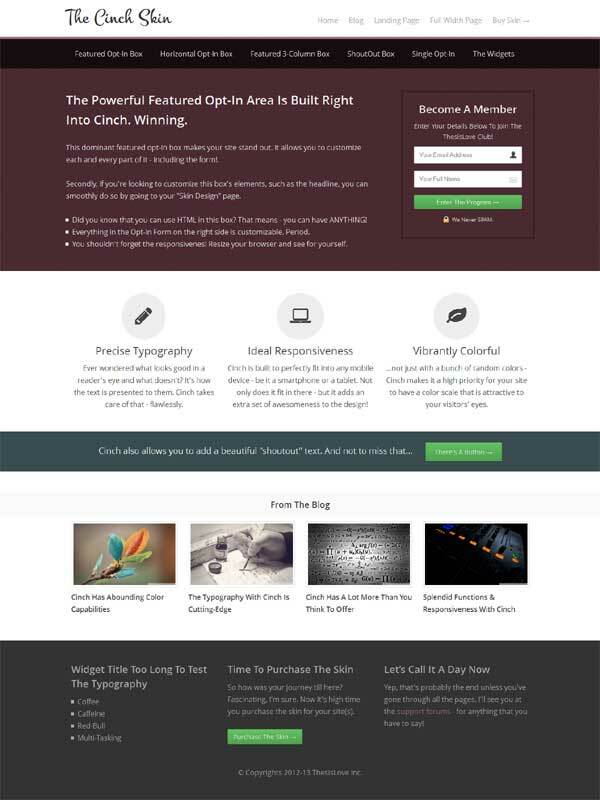 A cutting-edge, feature-rich premium wordpress thesis skin. By using its drag & drop builder you can have fun creating a unique homepage & easily make modifications to it; any time you wish. This minimal skin is perfect for blogs, magazine & news sites. NewsMagazine a brand new responsive thesis skin with minimalist design best suited for news magazine sites. It’s both fun and really easy to work with this skin. It’s fresh and gorgeous look with friendly features will make your site a standout. 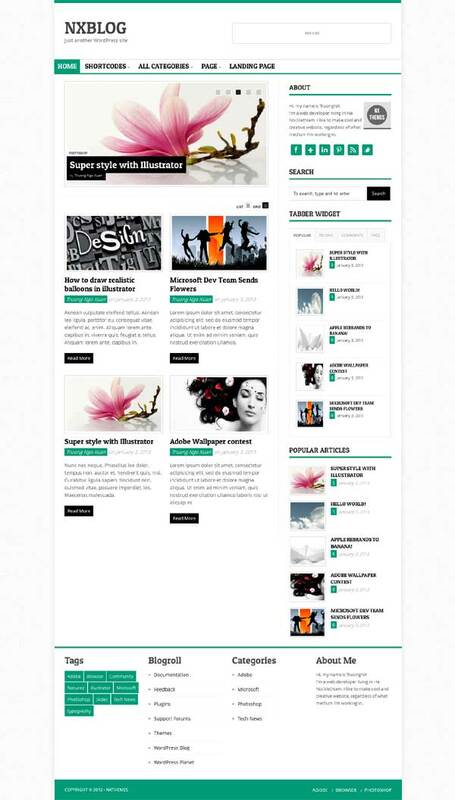 MS1 a well designed clean and stylish magazine skin for thesis theme for technology related blogs. . This skin has a attractive look with weird shapes making it a unique look for your blog. Soft color schemes that you can choose from. 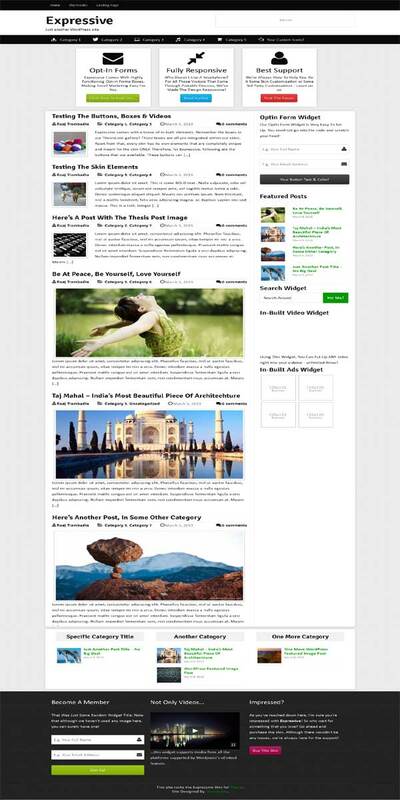 MG2 is a stylish & responsive premium thesis skin for 2.1 version for News and Magazine websites. It was built with performance-oriented code architecture and clean design to ensure viewer’s focus on the content. MS3 a clean and fully responsive skin for news & magazines. This theme is powerful with custom widgets, theme options, unlimited colors, custom sidebar, custom background and much more! BS1 is a unique, modern, interactive, ultra flexible and fully responsive thesis 2 skin designed for the corporate world. BS1 is ready to assists you in blogging about company activities and portfolios. It can be used to show news, events and services to your visitors. If you’re looking for useful business skin for thesis that can be easily adapted on every type of page you should definitely look into BS3. It’s a powerful and ultra-responsive skin which can perfectly serve any type of business, freelance or interactive creative sphere. BS4 very sleek & minimal style responsive skin for thesis theme specially designed for corporate or business purpose. It included everything that small business website will ever need. It’s an adaptive theme that looks good on Desktop, Tablets & also Mobile phones. IF you need a beautiful, responsive and customizable thesis skin to show off your content? In that case you can use Quik skin. It’s a modern, clean, and fully responsive magazine theme skin for Thesis 2.1 with plenty of options. 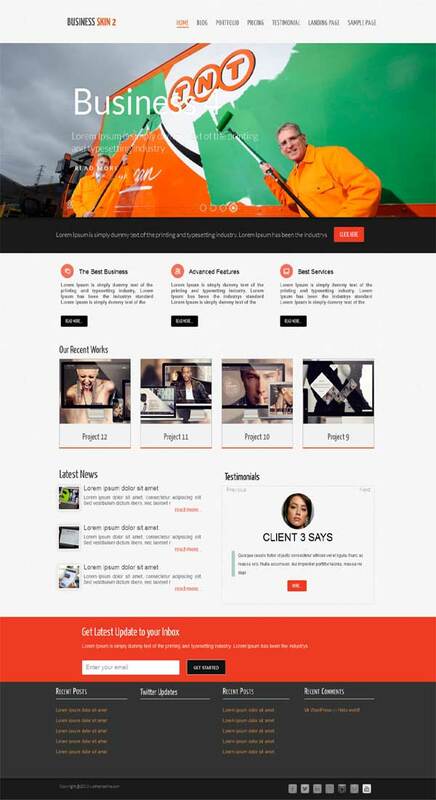 Grind is a modern, fully responsive skin for thesis wordpress theme that’s perfect for businesses and personal sites. It’s fully customizable and great design sure to impress visitors. 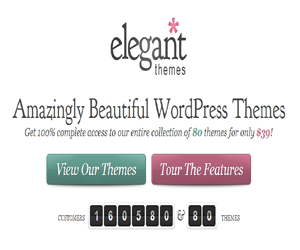 You can easily modify stylings, colors, fonts, layouts and other aspects of the theme. Splash gives you everything you need to set up an attractive blog in minutes. You can easily setup all of your major social links and subscriber forms from one page with ease and control. Tweak your action color & change the look of your site in one click. 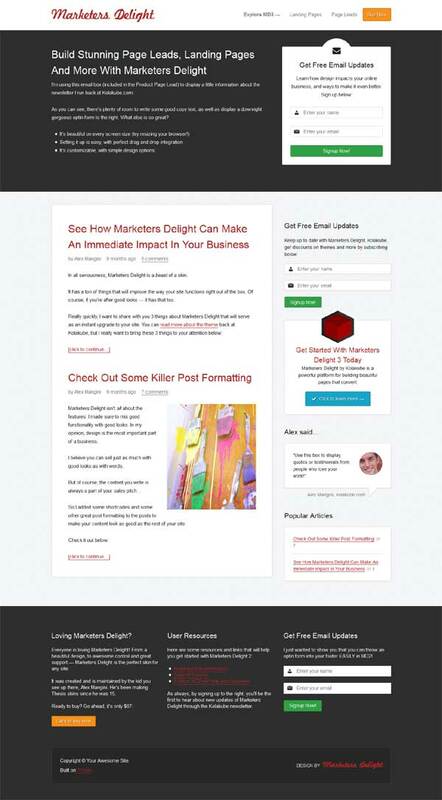 Splash boasts beautiful formatting in an easy to read style which is sure to go over well with your subscribers. It also rocks on mobile / tablet devices, including the iphone & ipad! Readyfolio a clean, modern, flexible & super-responsive premium thesis theme skin to showcase your latest portfolio pieces or anything else you can think of. Included plenty of great options and features, the all new Readyfolio adds what you need to really get the most out of your Thesis 2.1 site. 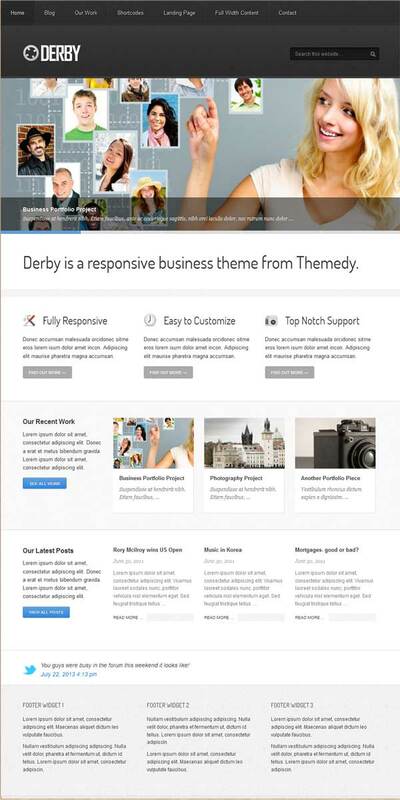 ThemeDy totally broke down and built up their popular portfolio / business theme and made it better then ever. Blink is a unique thesis skin that pushes the boundaries of both Genesis and Thesis theme frameworks. With its dynamic layout and creative look, Blink is perfect for any photographer, designer, blogger, or hobbyist. A modern responsive classic business skin for thesis. 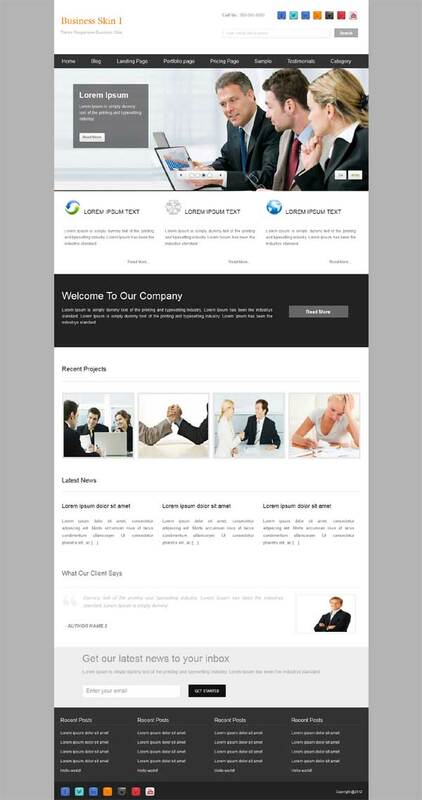 This responsive multipurpose skin can be successfully used for corporate site, blog site, portfolio and many more. Derby has everything you need to make an impact on the web. Reactiv a great asset to any creative freelancer or agency, everything is flexible and easy to customize. With this stunning skin you can create a single-page layout, but you can always use it as a regular website with separated pages. A image slider is included so that you can create awesome sliders and slideshows. 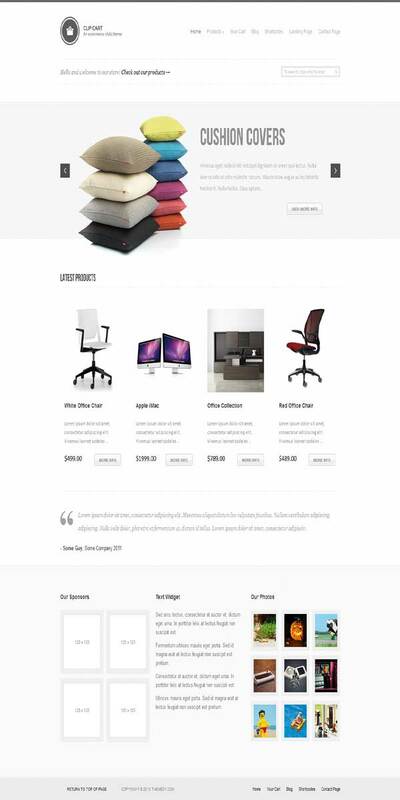 A beautifully designed, super flexible eCommerce theme that is suitable for any type of products. It’s designed with a fresh flat style and with a great responsive and retina-ready design. Clip Cart is the only thesis eCommerce skin that fully compatible with WooCommerce and cart66. A flexible business theme best suited to showcase a product, service or portfolio. Show off your work with this easy-to-customize and fully featured thesis 2.1 theme skin. It’s smart and hand crafted environment allows you to Build outstanding websites easy and fast. Whether you’re a photographer who needs to organize and showcase photos or a freelancer who needs to put a portfolio online, Stage offers a both elegant and personal solution for everyone. Its powerful customizations options focused on showcasing your work in unique and endless ways. 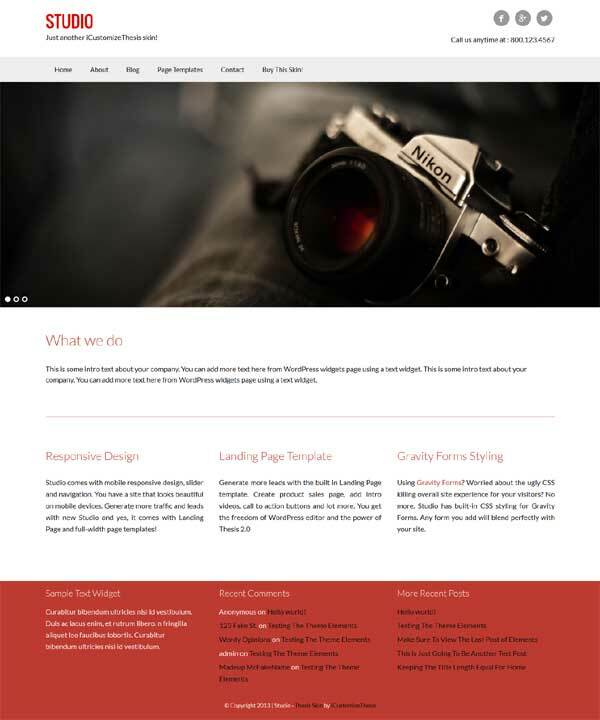 NXFoscor a clean, highly flexible, feature rich and fully responsive skin for thesis theme. The clean layout and sleek features make cleaner a great option for business, online portfolio, entrepreneur or other professional website. Coded with care in HTML5 & CSS3, NXFoscor is easy to customize and well documented. Best business skin for thesis 2.1. 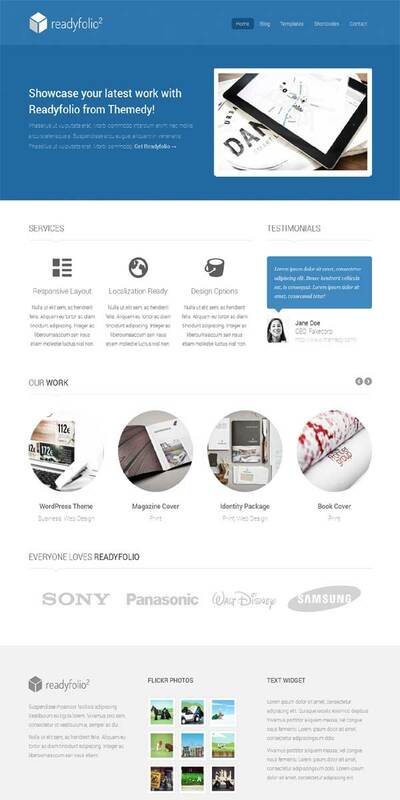 NXLanding is a beautiful thesis theme skin suitable for portfolio or business sites. NXLanding’s versatility in combination with its minimal design makes it the perfect solution for every portfolio site. NXTimBlog another fantastic thesis skin perfect for blogging. This skin is specially designed to make your blogging experience as simple and seamless as possible. It has responsive layout and elegant styling so that you can easily reach all your readers wherever they are! NXEnews a unique damn killer responsive thesis skin built with HTML5 and CSS3. 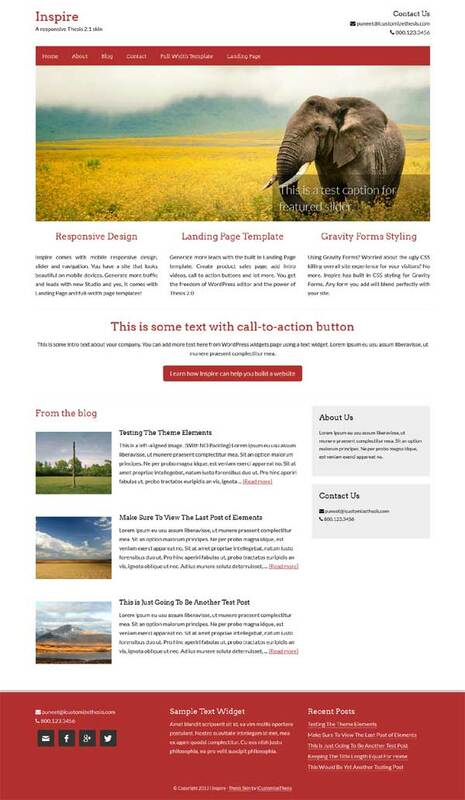 This stylish & responsive skin is designed for news or magazine sites. NXEnews can be configured to focus on your work. Have tons of options to manage & modify any aspect of the theme it’s well suited for both beginners with no coding knowledge & developers as well. NXRibbon allows you to showcase your work the way you want. 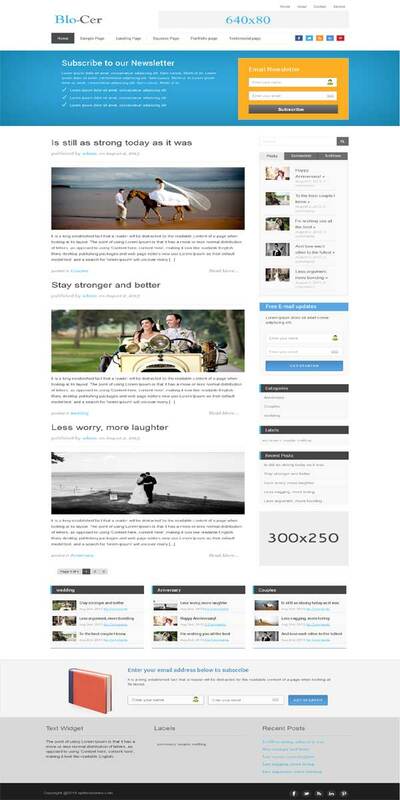 Best suited for business, portfolio and blog at a time. 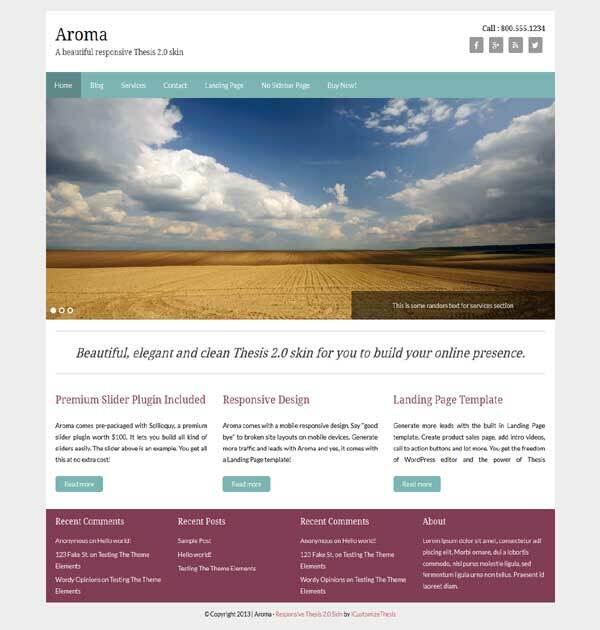 It’s fully responsive, retina ready & highly customizable. Included lots of features easy to setup features and universal design make creating your site fun and exciting. 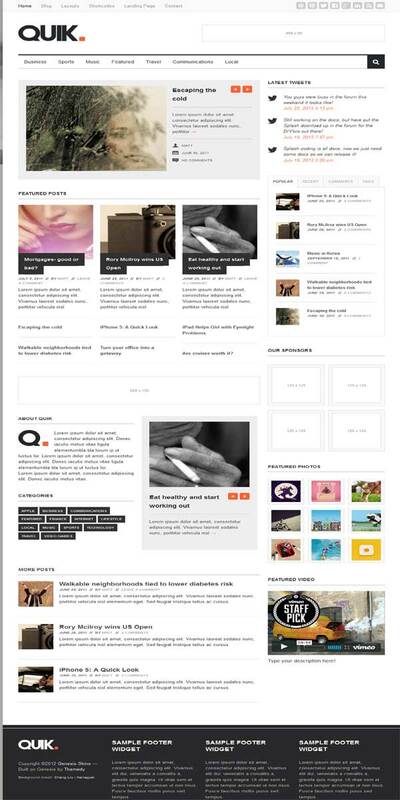 NXAccentbox, a responsive thesis skin for blog, news, magazine and editorial. This skin comes with many cool features and flexible layout and possibility to manage color schemes. 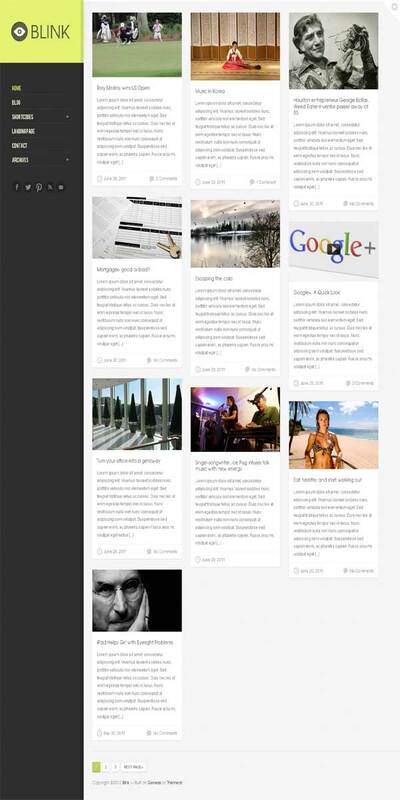 NXNevia is a very simple, clean and ultra-readable thesis skin suitable for blogging. If you need a simple lovely thesis skin which really makes visitors focus on the content, NXNevia is the very right choice for you! I doubt that how many thesis theme skins out there have as much feature that NXHalong has! 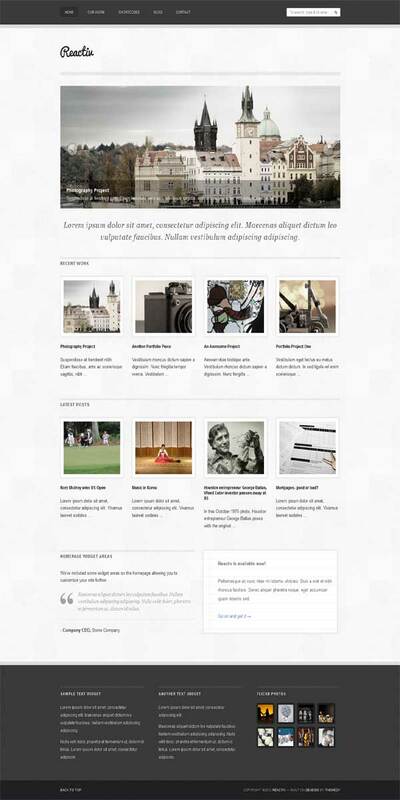 It’s a powerful responsive & multipurpose premium thesis skin, perfect for news or magazine, blog website & many more! Its super flexible, clean design & code packed with all the features you need to present yourself with style, passion & professionalism. 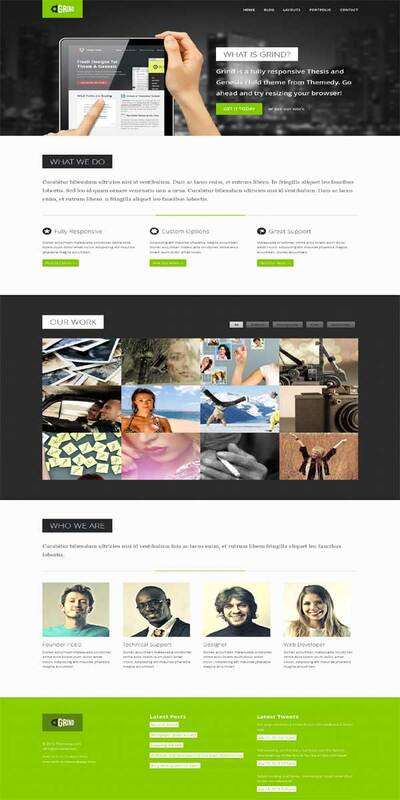 NXFearless a clean, modern & super-customizable thesis theme skin with a minimalist responsive design. It’s specially created to accommodate the needs of a corporate, business or portfolio site. It’s a design that will make your site stand out of competition. NXBlog a stylish blogging skin for thesis theme designed for creative bloggers. It focuses on content and readability. NXBlog gives bloggers of all types an environment which would better display & highlight their content. 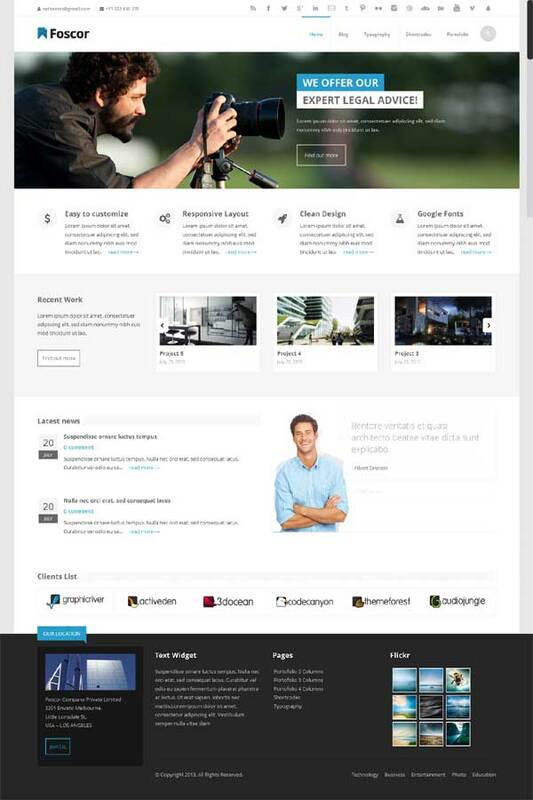 Vocation is a clean, modern and powerful professional premium thesis theme skin. It can be awesome to use for corporate website, portfolio, blog and anything you need. It’s attractive clean-wide design, the perfect solution to show off your product or information. Each & ever element in the skin is given high priority. Although you might avoid some factors of your site, they might be playing a very high role in the eyes of search engines and your readers as well. Expressive is a simple, personal blog perfect for your stories to shine. A completely responsive and dazzling skin for Thesis 2.1. It is ready to impress you and grab the attention of all your visitors. Cinch is more than a design. It’s a saga. Cinch takes the journey & reveals its ultimate treasure. Definitely it is something that you would be proud to have on your site. Have you been waiting for a skin that is specially made for hard-working bloggers? If so, then wait no more because Bloggers Pride is here! 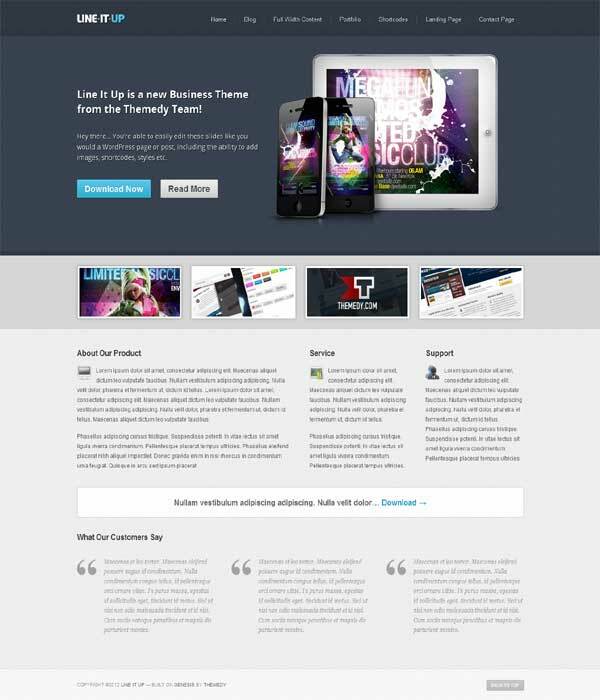 A super-duper customizable, very unique, responsive, retina-ready wordpress premium thesis skin that everybody wants. Inspire a pretty mobile responsive thesis 2.1 skin. Included custom home page widgets, custom page templates, featured slider, and plenty of other features which make it suitable for use on all type of sites! Such as business, blog, portfolio and everything else that you can think of. Myra is an advanced, unique and powerful premium multi-purpose responsive thesis skin. Suited for personal sites, business sites & portfolio sites & users who want a very nice portfolio website where they can showcase their work. It comes with Thesis Color Scale, which allows unlimited colors so that you can pick the perfect color scheme for your site. Studio is a clean, simple and minimal thesis skin for building your online presence. It’s fully compatible with latest thesis theme 2.1.4 version. Looks great on all devices. It has a portfolio custom post which is used for slider and showing work. Perfect for any type of blog and portfolio site. Aroma is pretty similar to previous studio skin! This skin is very easy to use and customize, whether you are a wordpress pro or a beginner suited for blog and portfolio site. 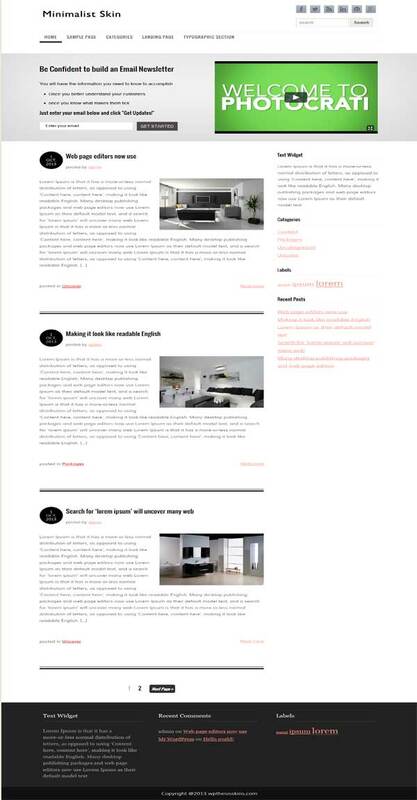 Eleven40 is a very straightforward responsive blogging skin, especially for people who need a blog. It’s based on the 1140 Grid System. Eleven40 is the only skin featured on WPMU.org, which (WPMU.org) known as one of the popular wordpress community blog. 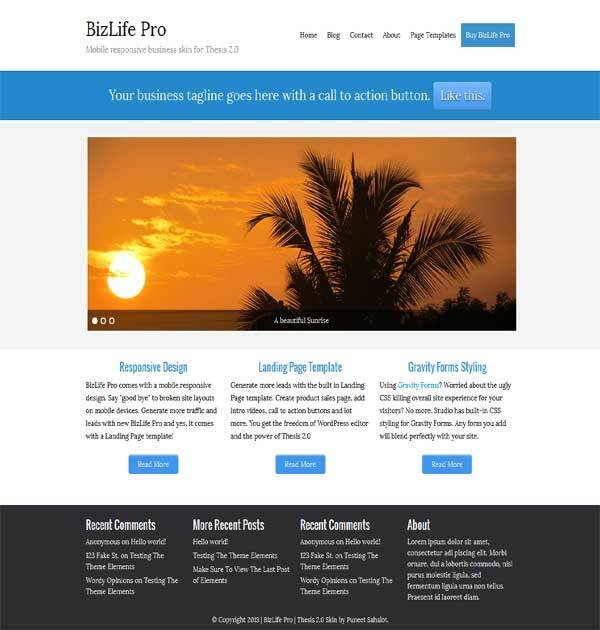 BizLife Pro is treated iCustomizeThesis’s most popular skin! It comes with a lot of features which are perfect for building your portfolio or business site. MD3 the best thesis theme skins ever! (I personally use & recommend) I don’t know whether any other skins out there that have as much features that MD3 has. This minimal, clean, professional responsive skin is suitable for any type of blog, portfolio or even business. Added 2 screen shots. 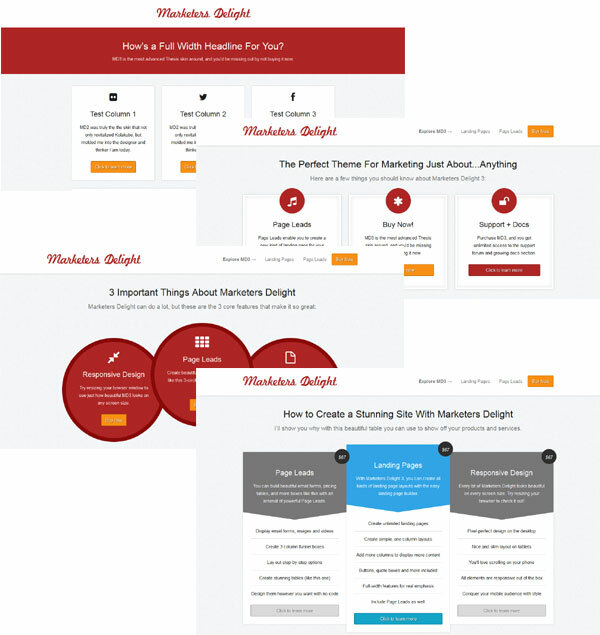 You gonna love Marketers Delight 3!